Home|Articles|How do a Hologram Applicator and Self Adhesive Vial and Bottle Labelling Machine Offer Higher Technical Support in Labelling Operations? The need for labour to carry out labelling process has been completely changed over with labeling equipments. With high performing and ultimately automated labeling components the ease of packing different products can be identified very easily. Label applicator machines are those with which printed labels can be automatically applied on products. Shrink sleeve applicator is the prominent among label applicator devices which can handle up to 250 products for labelling in one minute. Label applicator machines are preferred for their speedy and faultless performance. Since, they are equipped with supporting machine components; it is quite convenient to obtain a vibration free and accurate labelling process. It is a suitable machine for Pharmaceutical industry and it suits labelling requisites for round shaped prefilled and sealed containers. The container sensor helps to identify the container and the pressing unit keep going with sticking of self adhesive vial rolls. Which Industry Benefits More From Self Adhesive Vial Labelling Equipment? 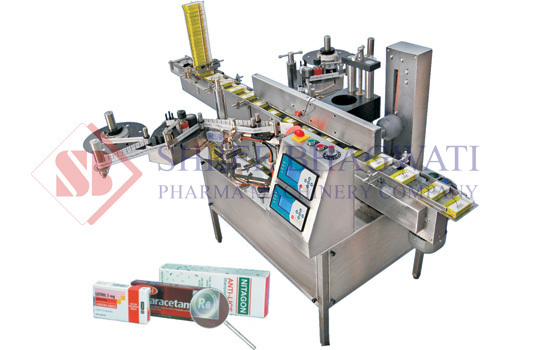 Pharmaceutical industry and chemical industry can make the most of advantages with self adhesive vial labeler. This machine can handle different diameters of containers and label sizes as the components are designed in adjustable form. Hologram Applicator is a good example of labeler machines designed over technical excellence. This applicator machine is specifically applied to apply labels with holograms and it is a flexible device. Hologram Applicator is an ideal option for labelling large number of products like containers, boxes and bags. It works exclusively for labels made over die cuts and suits any shape of label made from die cuts. How about Buying a Benchmate Labeling Machine? It is a portable label applicator device that reduces a great part of labelling requisites for pharmaceutical and chemical industries. It is a multipurpose label applicator wherein, it is possible to adjust the label application function towards front or back side as per requirement. Bhagawati Labelling Technologies offers wide range label applicators and automated labelling machines to handle specific products. 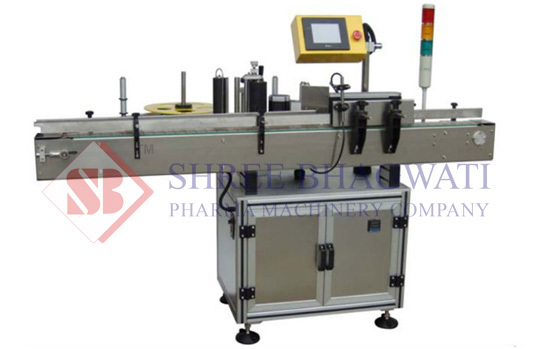 They also take up customized label machine designs for pharmaceutical industries. 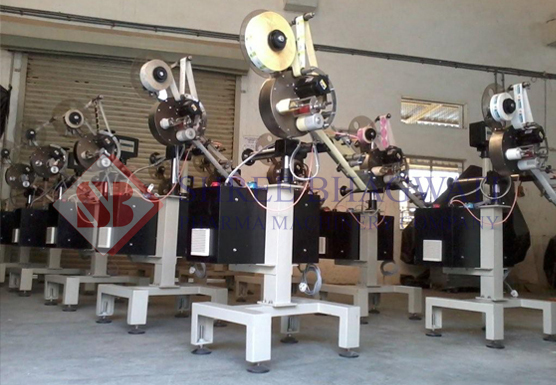 In addition, pricing and quality of machines are the important features provided by Bhagawati Labelling Technologies. Apart from Labeling Machines, Shree Bhagawati Labelling Technologies produces wide range of self adhesive label materials and printed labels. They also produce die cut labels according to the industrial requirements. Tamper evident labels are also available here these labels are considered as one of the important security label applications with which the identity of brand cannot be duplicated. Labeling technology had crossed unbelievable distance. The label materials and labeler machines for instance have been designed as innovative as possible so that products stay within their identity and Shree Bhagawati Labelling Technologies is one of the leading manufacturers where wide range of labeling options is available.